There are too many options! You may have the perfect solution for staying on top of the organization game, or you may be struggling to come to terms with the piles of papers and unchecked lists on your floor. If you don’t already have a system that works for you, it can be hard to know where to start. Even if you do have your own system, you may find that your life this semester is crazier than ever and your old tools don’t work anymore. Wherever you find yourself, don’t let it be under a pile of dirty laundry and leftover containers! Use this guide to figure out how you organize and to learn what the best organization tool might be for you. If you’re a Planner, you’ve got everything you’ve ever done and will do written down in a book that never leaves your side. It’s planned to the minute and you’re always on time. Your friends know you’re having a bad day when you aren’t your typically fifteen minutes early. Your Suggested Tool: Nothing beats free! Pick up your free copy of the USF Annual Planner at the MSC Info Desk. Be sure to have your USF ID Card on you when you go. As an artist, you have everything color-coded. Your business class has a green binder, notebook, and folder, and you’ve even changed the Canvas color tab. Oh, and don’t forget your green pen! You’re always prepared for class because you know exactly which color to grab as you head out the door. 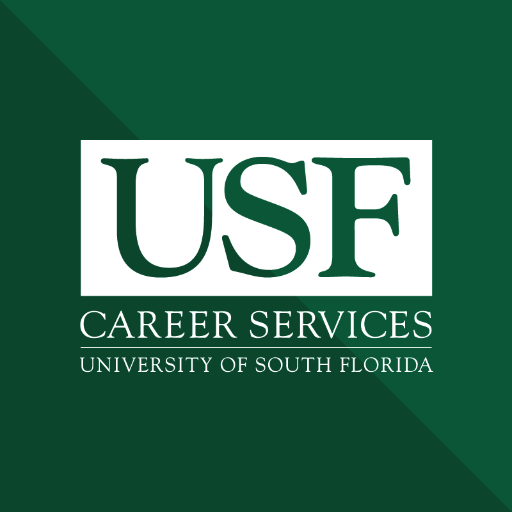 Your Suggested Tool: Take your color coding to the next level with free highlighters that you can pick up from the Career Services front desk! You let your technology do the heavy lifting for you. You’ve got the latest phone and it never dies because you carry a battery back-up with you. And you’ve synced your preferred calendar so that you get reminders about your next task exactly when you need them. All of your emails are filed away in their folders as soon as they’ve been opened. Your Suggested Tool: The one tech thing you don’t have? The Handshake app. Download it today and keep up with all the employers coming to campus and recruiting tech-savvy students like you. You can also sync your Handshake calendar to your Google or Outlook calendar so it’ll remind you about upcoming events or appointments. Your friends can’t believe that you keep everything you’ve got going on in your head, so they’re constantly asking you what your secret is. But you don’t have a single post-it note anywhere, and yet you still manage to get everything done! Your Suggested Tool: Who are we kidding? You’re on top of it! Instead, make sure that you’ve activated your Handshake account and checked out the upcoming event page. That’ll give you some more things to keep track of!